I’ve just put online my notes from the Melrose dog tax records of 1797. This tax was levied on non-working dogs, so presumably pets, including possibly former working dogs now too old to work. The list is relatively short, but I was quite pleased to see some ancestors pop up in there. Two 6xg-grandfathers: James Blaikie of Langhaugh, and James Usher of Toftfield. Both had two taxable dogs. I wish I knew what the dogs’ names were! I posted this just now to my blog for general academic historical musings. 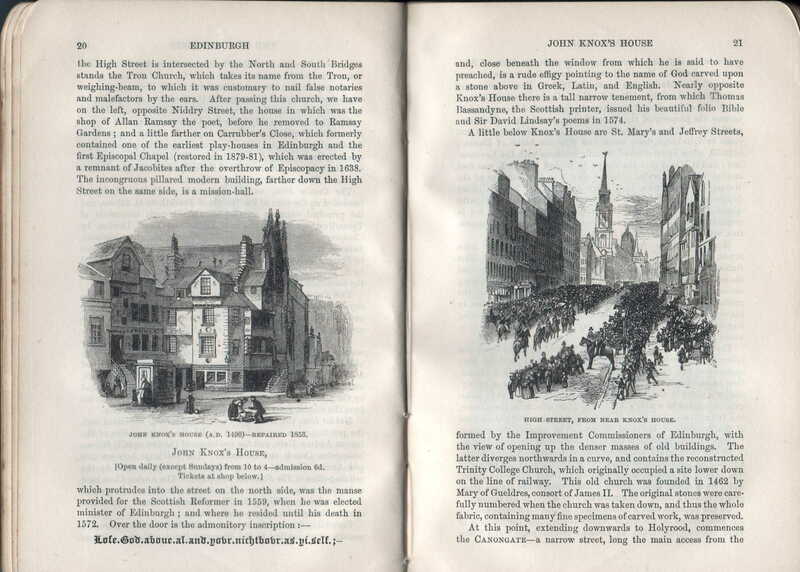 But it includes a bit about Melrose in 1892, so reblogging here. 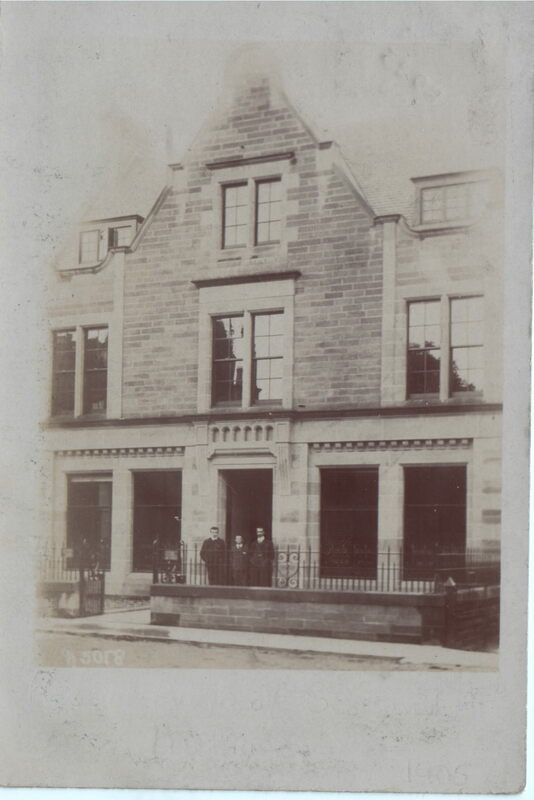 Another old postcard that I picked up on eBay shows a group of bank employees outside the Royal Bank of Scotland in Melrose. The postcard was written by the young man in the middle, and he noted the names of his fellow employees standing beside him. The postcard was posted in November 1905. 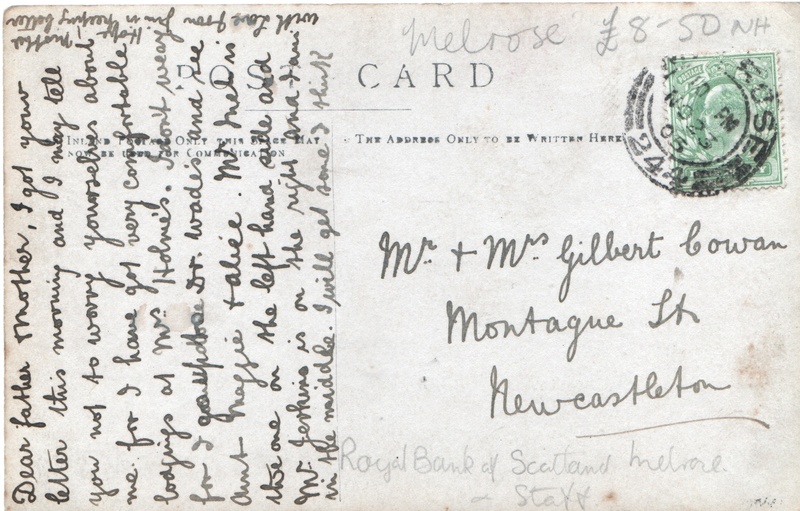 The young man, Jim, was sending the postcard to his parents, and addressed it to Mr and Mrs Gilbert Cowan, Montague Street, Newcastleton. Looking in the 1901 census finds the family: 36-year-old father Gilbert Cowan, a coal merchant, his 37-year-old wife, Jane, and their children James, 10, Richard, 7, Gilbert, 5, and Mary Jane, 4. This means that Jim was only 14 or 15 when photographed outside the bank in Melrose. In his note he asked his parents not to worry about him. It is hardly surprising they did, given he was working away from home so young. Of course at this time there would have been a train link between Melrose and Newcastleton, and Jim would not have been so far away from home had he travelled that way. However it is likely that he could only visit his parents rarely, partly for cost reasons, partly due to his work commitments. By 1911 Jim was back at home in Newcastleton, with his parents and siblings, and now working as a colliery clerk. I’ve tried to look for his fellow bank employees in census returns, but their names are a bit difficult to decipher reliably, and even at my best guesses (most likely Inch and Jerkins) have been unable to trace them in census returns, either 1901 or 1911. But maybe descendants will recognise them. Click on the images in turn to see larger versions of each one. P.S. I’ve just been using Google Street View to double check what the Royal Bank of Scotland building in Melrose looks like now. It’s just as I remember it from childhood, and remarkably unchanged on the outside from a century ago. I keep an eye on old Melrose postcards on eBay. Even though my main focus in the one-place study is pre-1820 it’s nice to look for interesting pictures of Melrose in the past. One that I found recently shows part of the service held in the Abbey for the Coronation of King Edward VII. 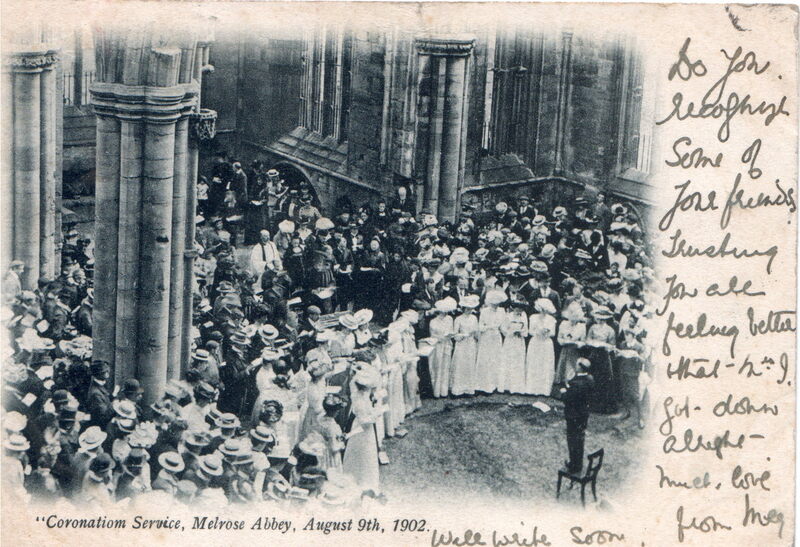 The postcard shows a large group of locals gathered together for the service, including many young ladies in fine dresses, and also local dignitaries. I’ve been peering at the picture trying to spot any ancestors. My Dodds ancestors lived there then, and one of them at the time – probably Alexander elder brother of my great-grandfather – would have been beadle or church officer, so definitely at any service. My Hall ancestors also lived near Melrose at this time. 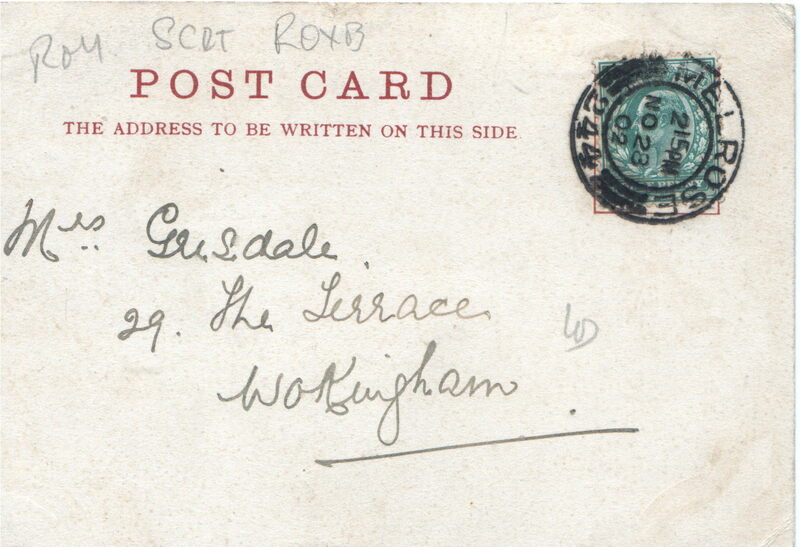 A message is written on the front side of the postcard, and the back of the postcard shows who it was to be sent to, as well as carrying the stamp and date of posting.